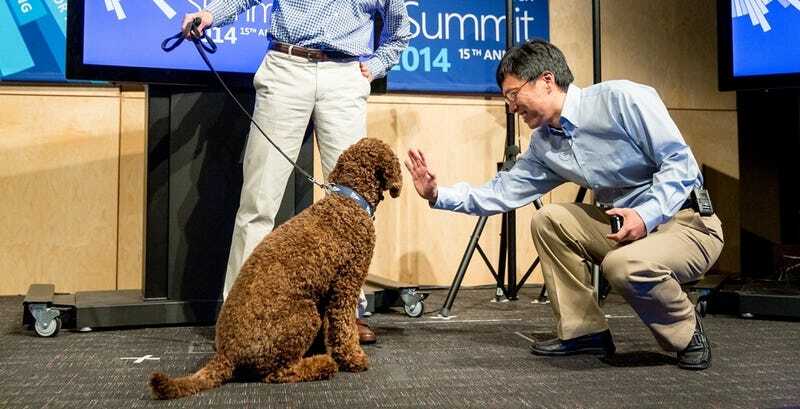 This morning at the annual Research Faculty Summit, Microsoft showed off a pretty impressive advancement in its AI tech. An app, entitled Project Adam, is poised to identify all of its surroundings just like a Fire Phone without the merch hooks. The app is still in development but shows promising results. Recent research... focuses on Project Adam and its object classification, culling a massive dataset of 14 million images from the Web and sites such as Flickr, made up of more than 22,000 categories drawn from user-generated tags. Using 30 times fewer machines than other systems, that data was used to train a neural network made up of more than two billion connections. This scalable infrastructure is twice more accurate in its object recognition and 50 times faster than other systems.